On May 2, 2014, I presented a talk at the Energy Bioscience Institute (EBI) 6th Annual Biofuels Law and Regulation Conference at the University of Illinois, summarizing a number of key legal, policy and regulatory issues affecting the development of the biofuels industry in the U.S. and internationally. The slides from that presentation can be found here. In a series of posts in Biofuel Policy Watch beginning today, I’m elaborating on the issues I discussed in the presentation. These posts are not meant to provide comprehensive summaries of the issues at hand, but instead to highlight some key aspects of my presentation and other discussions at the EBI conference. For most of these policy issues, you can find background information in other posts on this blog and my Advanced Biotechnology for Biofuels blog, and I’ll provide links to such previous posts where possible. 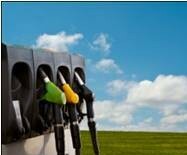 Today’s post covers issues relating to the U.S. Renewable Fuel Standard (RFS). The RFS is widely considered the most important piece of legislation for the promotion of the biofuel industry in the U.S. I’ve described this law in detail in several posts in the Advanced Biotechnology for Biofuels blog (for example, starting with this post from January 2013), and additional information can be found on the EPA website and plenty of other places on the Web. The key features of the RFS are the establishment of goals for reduction of greenhouse gas emissions from transportation fuels, and setting mandated, escalating volumes of four different categories of renewable fuels that must be included within the U.S. motor vehicle fuel supply each year, as well as defining which fuels fall into which categories based on their expected levels of greenhouse gas emission reductions. By setting the yearly volume obligations at aggressive levels, the RFS set ambitious goals for the industry to meet, and by having the levels escalate from year to year, the law also provided the basis for future growth of the industry. In the early years under the law, these goals were spectacularly met – usage of renewable fuels, particularly ethanol and renewable biodiesel, rose markedly to meet each year’s volume obligations, and the law provided the market stability that has encouraged and facilitated investment in the biofuel sector. However, the amount of ethanol approved for blending in the nation’s gasoline market has been limited by the maximum 10% blend percentage that EPA had originally approved, and although EPA recently gave its OK for 15% blends with some limitations, the 10% figure has created the so-called “blend wall” that has begun to limit the upside market potential for ethanol in the U.S. Concerns over the blend wall, along with the delays that have been seen in commercializing cellulosic biofuels, has led to Congressional scrutiny of the law, with Republican calls for its repeal or substantial revision, as well as court challenges to EPA’s yearly volume obligations. In the fall of 2013, EPA generated substantial controversy by proposing significant reductions to the 2014 volume mandates, partially in response to these criticisms and partially reflecting the slower than expected progress in commercialization of advanced biofuels such as cellulosic ethanol. At this writing, EPA is still reviewing public comments and has not finalized the 2014 volume mandates. The following are three key points I made in my presentation about the RFS and its importance for the development of the biofuel industry. Ensure the stability of the RFS and its policies. Most industry observers would probably agree that this is the highest priority of all that relates to the U.S. biofuel industry and markets. As noted above, the several years culminating in 2013 saw intensified pressure from Congressional Republicans and competing interest groups for the repeal or substantial revision of the RFS. It has therefore become somewhat of an industry mantra in recent years to say that the RFS must be retained in its current form, without modification, in order to preserve its ability to continue to promote the growth of the industry. However, in discussions at the EBI conference, several speakers, while acknowledging the importance of the RFS, also focused on the shortcomings of the law and the need to fix it. Several speakers acknowledged that the ethanol blend wall poses problems for the aggressive volume mandates for the next several years as included in the original legislation, and there were suggestions that it might be appropriate to change the RFS to be more like the California Low Carbon Fuel Standard, so that fuels providing greater reductions in greenhouse gas emissions are better rewarded, and therefore incentivized relative to first generation biofuels. Although no one had concrete suggestions for any such revisions, at least one speaker expressed the view that “we need to revise the RFS in order to save it”. I don’t disagree with that sentiment, except to say that in today’s political climate it is not realistic to expect a bitterly-divided Congress to find a sensible bipartisan approach to revising the RFS, so that the best the industry can do is to try to head off blatant attempts to simply repeal the law. I think the industry should engage in any substantive, good faith discussions about revisions to the law, but in the short term, I’m hopeful that EPA’s actions to scale back some of the more aggressive volume mandates will stave off Republican attempts to repeal the law, and that EPA can strike a balance between setting volume mandates that are reasonable but which are still aggressive enough to provide the incentive for continuing investment and development of advanced biofuels in the years to come. In the meantime, the biofuels industry awaits EPA’s decision on the final rule for the 2014 volume mandates, expected for June, with baited breath. Expedite, streamline RFS pathway reviews. The more practical problem facing biofuel companies wishing to benefit from the RFS is EPA’s backlog in approving petitions for new fuel production pathways. Under the RFS each renewable fuel is assigned into one of four categories, based on their production method and expected greenhouse gas (GHG) emission reduction. These four categories are “renewable fuel” (with at least 20% GHG reduction); “advanced biofuel” (at least 50% reduction); “biomass-based diesel” (also with at least 50% reduction); and “cellulosic biofuel” (requiring a cellulosic feedstock and at least a 60% reduction in GHG emissions). Certain fuels were assigned to a category when the “RFS2” regulations were instituted in 2010, but for fuels produced by other, newer pathways, it is necessary for companies to file petitions with EPA to have the agency review the pathway, its life cycle analysis and expected GHG reductions, and other factors, so that the pathway can be approved and assigned into a category, after which the company can issue Renewable Identification Numbers (RINs) for its fuel. EPA was caught unawares by how many companies would need to take advantage of this procedure and how many petitions they would receive. As a result, a substantial backlog of petitions has arisen (36 pending as of this writing) and the average time EPA has needed to review and approve each petition has also risen to levels of concern to the industry. This has been described in more detail in several recent posts on Advanced Biotechnology for Biofuels: see this post for more information. As a result, in a Program Announcement dated March 2014, EPA announced that it was initiating activities to improve the petition process for new fuel pathways under the RFS. EPA said that it found “that improvements should be made to the petition process to enable more timely and efficient decision-making” in the RFS program. Several speakers at the EBI conference highlighted the need for a more efficient, transparent petition process, and I agree. Although I think that, overall, EPA’s move is a good one, the one troubling aspect of EPA’s announcement is that they have asked companies to voluntarily hold off on submitting new pathway petitions for six months (i.e. until roughly September 2014) while the internal review is underway. Although some in the industry are concerned about this unofficial “moratorium”, I’m not particularly troubled, because any company submitting a new petition at this time would have gone to the back of the queue anyway, and so would not be likely to see any EPA action in the near term under any circumstances, so I doubt any company will be unduly disadvantaged by this short delay. Let’s hope EPA is able to improve its processes in a meaningful way. Create viable, reliable RIN validation schemes to avoid RIN fraud. One of the major advantages of the RFS for renewable fuel producers is the ability to generate Renewable Identification Numbers (RINs) for each gallon of fuel they produce. RINs are tradable on the open market, and have fluctuating value based on changing market and economic situations at any given time. When responsible parties (e.g. gasoline sellers) are not able to obtain enough quantities of renewable fuels to meet their volume obligations, they can purchase RINs on the open market to help meet their obligations. Therefore, RINs (which are issued in different categories corresponding to the different renewable fuel types under the RFS) tend to have a higher value when actual supplies of fuels are, or are expected to be low, and tend to have a lower value when supplies are more plentiful and responsible parties don’t need to buy RINs to meet their obligations (although like many financial instruments, RINs are subject to price fluctuations due to market speculation and other factors). To some extent, the system depends on the reliability of the system and the authenticity of the RINs on the market. RINs are not issued by EPA – RINs are 38-character numeric codes that are created by the entity that first produces the fuel, using a formula EPA established in the RFS rule. The system works in a sort of “honor system” whereby the RINs generated are supposed to correspond to tangible volumes of fuel. Unfortunately, there were several very well publicized instances of RIN fraud, largely in 2012, where companies created and sold RINs for volumes of diesel fuel that did not actually exist, and when this fraud was uncovered, not only were the offending companies subject to fines and criminal penalties, but the companies which unknowingly purchased the fraudulent RINs were also subject to penalties for missing their volume obligations. This situation created quite a bit of uncertainty in the RIN markets at the time, particularly for biomass-derived diesel RINS. In response, in January 2013 EPA proposed rules to establish a voluntary quality assurance program that would include auditing and validation of RINs by independent third-parties, so that purchasers of the RINs could be assured that the RINs were valid. The proposal did not place the burden of validation on EPA itself, but instead would allow third parties to qualify to provide auditing and validation services, and the proposed rule specified the minimum requirements any such third party would need to adopt to develop a quality assurance program. Under a critical part of the proposal, obligated parties would be able to invoke an affirmative defense against civil liability arising from the transfer and use of invalid RINs that had been verified under a quality assurance plan. EPA published the proposed rule for public comment and in the wake of what was likely substantial comment from industry parties, the agency has not yet finalized the rule. Even before adoption of a final rule, several independent consulting firms announced that they were developing plans for such quality assurance programs, and no doubt regulated parties have themselves become more cautious about the RINs they purchase. There have been no reported instances of RIN fraud since 2012, and at least two of the alleged perpetrators were convicted in 2013 and sentenced to jail time. So it may be that the problem will be solved by more vigorous internal policing from within the industry, but there is no doubt that the ongoing success of the RFS depends on the integrity, and the perceived integrity, of the RINs generated by fuel producers. Posted on May 8, 2014 by dglassassociates. This entry was posted in US Renewable Fuel Standard. Bookmark the permalink.